Two non-partisan organisations working to support and strengthen democratic institutions worldwide, the National Democratic Institute (NDI) and International Republican Institute (IRI), have expressed concerns over the suspension and replacement of the Chief Justice of Nigeria by President Muhammadu Buhari. 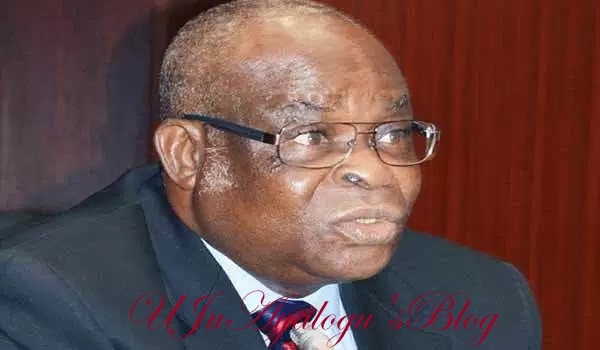 The institutes, based in the United States, in a joint statement said the suspension of the embattled CJN Walter Onnoghen had raised doubts among stakeholders about the independence of the Supreme Court and Election Tribunals in the upcoming general election. The institutes suggested that the suspension of the CJN so close to election day should be done through consensus and in consultation with all political actors so as not to be perceived as unfairly impacting the electoral process. The statement said: “The National Democratic Institute (NDI) and International Republican Institute (IRI) are concerned by the suspension of the Chief Justice of Nigeria on January 25. “The suspension comes just three weeks before the February 16 presidential and National Assembly polls and has raised doubts among electoral stakeholders about the independence of the Supreme Court and Electoral Tribunals in the upcoming general election. The statement quoted NDI President, Ambassador Derek Mitchell, as saying: “The judicial branch plays a critical role in the electoral process. It is imperative that these courts are objective and that they are perceived as such by all election stakeholders. “IRI and NDI call on all stakeholders to adhere to the rule of law and peaceful resolution of disputes. “We encourage all political actors to engage in an inclusive dialogue and implement initiatives to assure the public and political contestants that, should disputes arise from the upcoming general elections, they will be resolved fairly,” said IRI President, Daniel Twining. In its reaction, the Federal Government insisted on Wednesday that the suspension of Onnoghen had nothing to do with the elections. Alhaji Lai Mohammed, Minister of Information and Culture, who referred our correspondent to an earlier media briefing, said the CJN’s suspension was a consequence of his breach of the Code of Conduct for Public Officers. He stressed that President Muhammadu Buhari “is an avowed democrat, which he has proven time and time again and the sdministration stands firm on the rule of law”. He added: “It amounts to irresponsible extrapolation to say that the suspension of Justice Onnoghen is the onset of dictatorship. “This whole issue is about the country’s highest judicial officer, the Chief Justice of Nigeria, being accused of a breach of the Code of Conduct for Public Officers, and the legal and moral conundrum surrounding that.